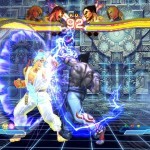 Check out these new screenshots from Street Fighter X Tekken.This game is published by Capcom and is expected to be relaesed by next year on PS3 and X360. 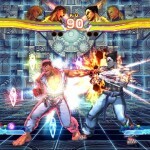 In STREET FIGHTER X TEKKEN, the long awaited dream match-up between the two leaders in the fighting genre becomes a reality. 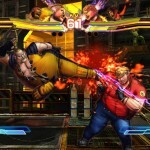 STREET FIGHTER X TEKKEN delivers the ultimate tag team battle royale featuring classic characters from each franchise, and one of the most robust character line-ups in fighting game history.